Happy Easter to all C4 members and supporters. A quick reminder that if you don't have other commitments on Saturday morning 20 April, C4 is having a community planting on Old Tully Road between El Arish and Feluga. This is our first on the newly-acquired block and will strengthen the importance of this area as wildlife corridor between Mission Beach and the World Heritage forests stretching to the Tablelands. Come along to see the project and meet similarly-minded people. Planting starts around 8am. The area has been prepared so it won't be heavy work. A BBQ and refreshments will be provided to keep your energy levels up. Whether you can help for the whole morning or only for an hour, be part of a project that will make a difference. Whatever your skill level, there will be something you can help with. We've grown the trees in the nursery. Now they need a chance to grow in the landscape. Today, C4 focuses on Habitat, Education, Nursery and Rural matters. * To establish and maintain a gift fund for the acceptance of gifts made to the association for the association's environmental purposes. Through the working groups and the vision statement of "Knowing Keeping Sharing", C4 undertakes to protect Mission Beach's natural values to ensure a healthy environment, community and economy. We believe Mission Beach can develop and maintain its unique identity, including being a place where you can still see a cassowary in the wild. The constant pressure of development on Crown Land at Mission Beach, all of which is now critical cassowary habitat, was the impetus for a group of twelve locals to get together to form Mission Beach's first incorporated conservation group, the Movement for Responsible Coastal Development. 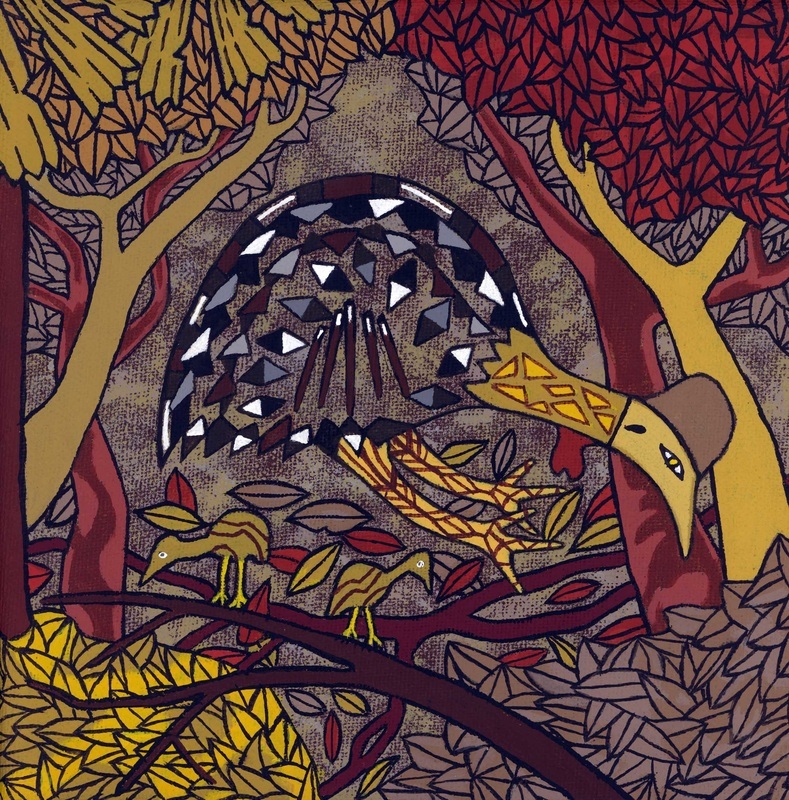 In 1990 the newly elected State Labor Government, with the assistance of several local councils and the Tully branch of Wildlife Preservation Society Queensland (WPSQ), organized a conference at Mission Beach to discuss the plight of the cassowary. 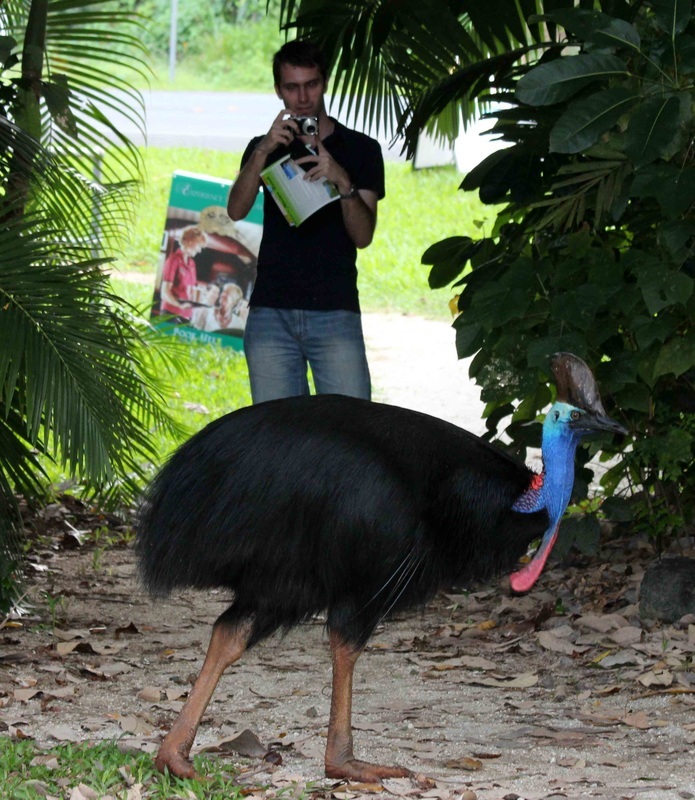 The outcome of this conference was the establishment of the Consultative Committee for Cassowary Conservation (C4). C4 was a consortium of local community groups, local councils, government departments and other agencies such as CSIRO. The two groups amalgamated and incorporated in 3 June 1994, to become the Community for Coastal and Cassowary conservation (C4). C4 originally established five working groups to achieve these aims, with representation and advice from the local indigenous people Djiru. Loss of habitat through clearing for residential settlement and agricultural expansion. Fragmented habitat (especially from roads and subdivisions). Vehicle traffic (road kills are the number one cause of adult Cassowary deaths). Dogs (which are especially aggressive to chicks and juveniles), feral pigs (impact on the cassowary habitat). Appeal funds will be used to create a revolving fund to purchase residential rainforest, and adjacent land in the Mission Beach area, which is vital to the long-term survival of the birds. The Queensland Government’s Land Titles Act enables landowners to place a legally binding Conservation Covenant on their land. After purchase, C4 will place a legal covenant on the title deed establishing the residential site on the land and Cassowary habitat. Once the covenant has been placed on the land to ensure the perpetual availability of wildlife habitat, the land will then be resold for residential purposes, freeing up funds for further land purchases. Click on the green GiveNow button above if you are interested in helping out. 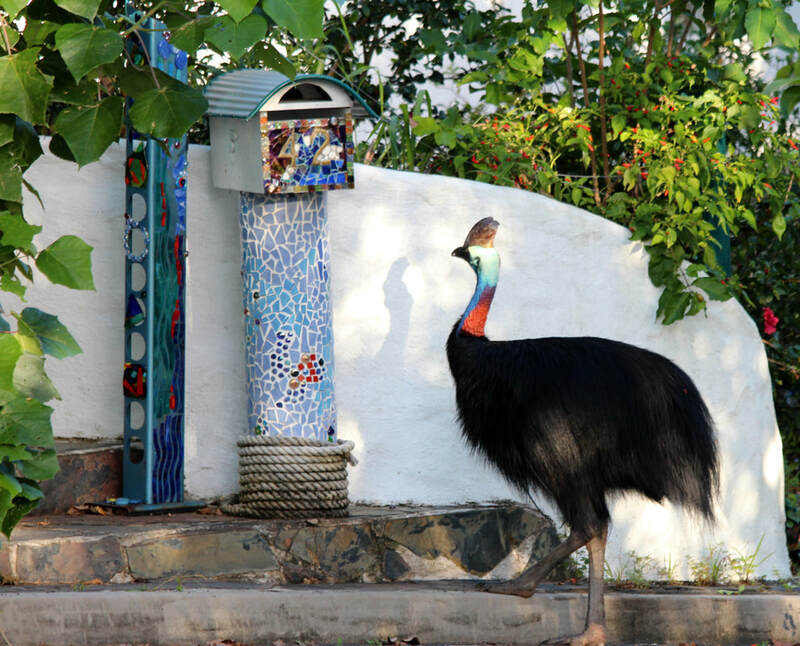 No this isn't a new postman on the block, just a cassowary checkin' out the unusual mailbox! South Mission Beach. A link to informative Mission Beach documents regarding projects, plants, animals & resources go to: https://terrain.org.au/projects/threatened-species/mission-beach/. Click here for Theatrette hire.